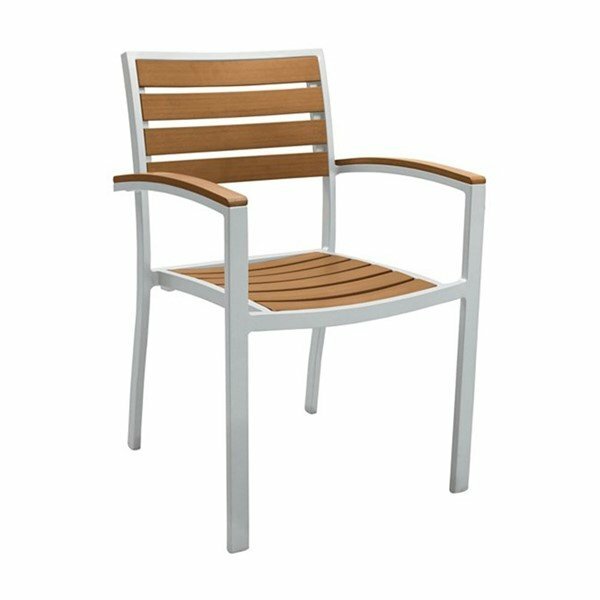 Jado Faux Wood Slat Dining Chair with Powder-Coated Aluminum Frame by Tropitone - 12 lbs. Our Jado Faux Wood Slat Dining Chair with Powder-Coated Aluminum Frame by Tropitone is an excellent choice if you're looking to combine durability and versatility. 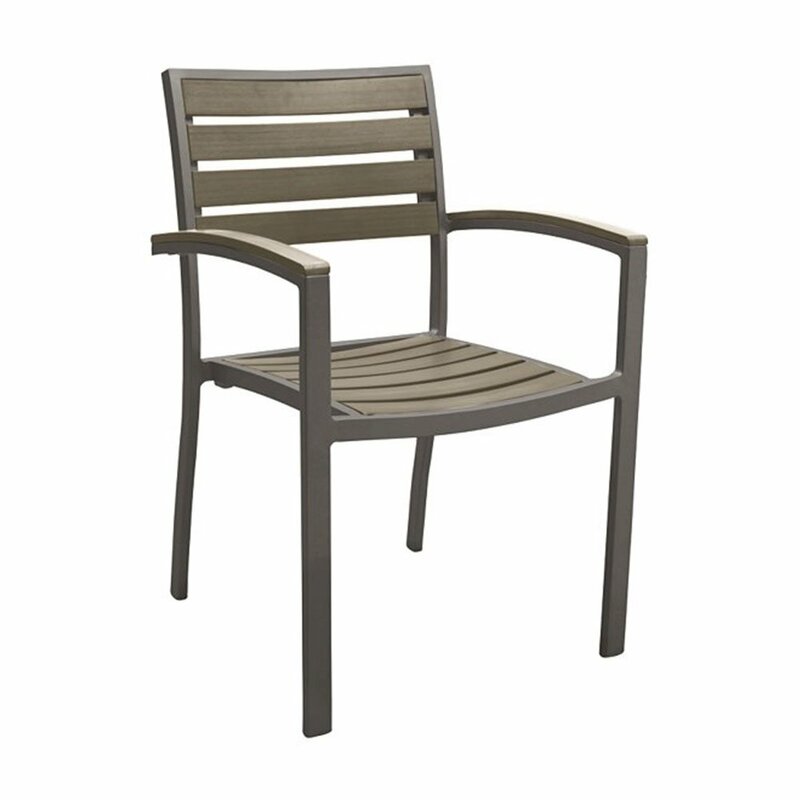 This chair can be used outdoors and indoors as it has a powder-coated aluminum frame and rugged faux wood slats for the arms, back, and seat. Stack up to 6 of the Jado Faux Wood Slat Dining Chairs on top one another for you and your patron's storage convenience. 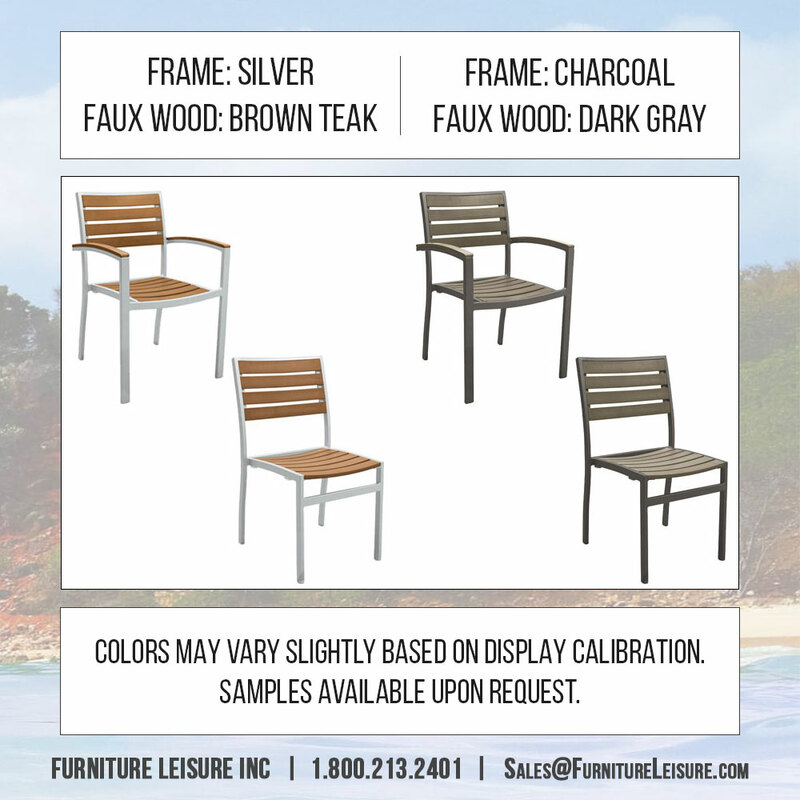 These are available in 2 separate designer color schemes: A silver frame with brown teak slats or a charcoal frame with dark gray slats. This comes with a limited 5-year commercial warranty and is made in the USA. • 17.5" Seat Height with 25.5 Arm Height. • 33.5" H x 22.5" W x 23" D - 9 lbs.